It has finally happened! The hope and fear of every science fiction nerd on the planet has come true. Aliens (the Boov specifically) have invaded Earth! This story is the account of young Gratuity Tucci, a cat named Pig, and a runaway Boov named J. Lo. This bizarre trio embarks on a cross-country road trip to reunite Gratuity with her mother and the rest of the human race. They become unlikely heroes as they save the world from a second alien invasion by the violent Gorg race. 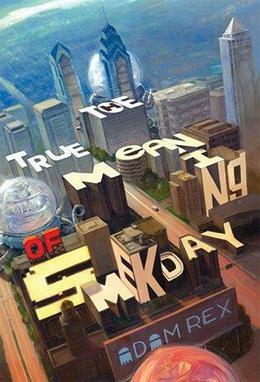 This book was great fun. It’s a fantastic twist on the classic road trip story. While the adventures and action are great, this story is really something special when it shows how Gratuity and J. Lo try to understand each other’s cultures. Gratuity is understandably miffed at J. Lo and his species for invading her planet and impatient with his absurd alien customs. He loves eating dental floss and thinks that oranges make fine footwear! But it’s not all about wacky alien customs; there were some really funny moments where J. Lo takes a few jabs at some of the silly aspects of American culture. This book is packed with hilarious illustrations, but the audiobook is fantastic. What I did, and highly recommend, is checking out the audiobook and print copy together. The aliens are hard to imagine without the drawings, but the audiobook really completes the experience. The voice acting of Bahni Turpin is excellent. She performs a wide range of American accents as well as wonderful interpretations of two different alien species. It’s intended for middle grade readers, but I heartily recommend this title to the young and old and everyone in between. The exhibit Ladies, Gentlemen and Bazards: The Art of Lois Wilson will be on display in the Central Library's Fourth Floor Gallery from January 6 to February 21, 2014. Featuring a little known Alabama artist who died in 1980, the exhibit focuses on Wilson’s “found art” where she used wood that she scavenged from demolition sites, parts of furniture that she disassembled, old brushes, ironing boards, toilet seats, and left over food for coloring to take the trash that other people discarded and create art. The art illustrates the issues that were important to Wilson: environmentalism and conservation, racism, spiritualism, the needs of the aged and homeless, and the emptiness of modern American materialism. Laquita Thomson, Associate Professor of Fine Arts at Freed-Hardeman University in Henderson, Tennessee, will give a talk and gallery tour to accompany the exhibit. The talk, titled Alabama Mystic or Alabama Outsider: The Art of Lois Wilson, will be held at 3:00 p.m. on Sunday, February 2, 2014, in the Arrington Auditorium of the Central Library. 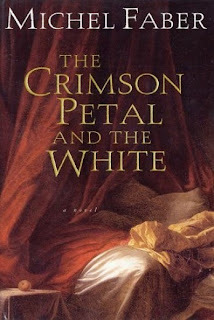 Thomson specializes in studio art and art history research. Born in Corinth, Mississippi, she holds degrees from Mississippi University for Women, University of Alabama-Birmingham, Auburn University, and University of Alabama-Huntsville. During many years living in Alabama she researched and wrote about 19th and 20th century artists who had connections to Alabama, including William Bonar, Nathan Negus, Frederick Arthur Bridgman, Maltby Sykes, and Lois Wilson. Her writings have been published in Alabama Review and Alabama Heritage, as well as by Black Belt Press and Michigan State University Press. She wrote “Art in Alabama” for the Alabama Historical Commission Preservation Project in 1988. 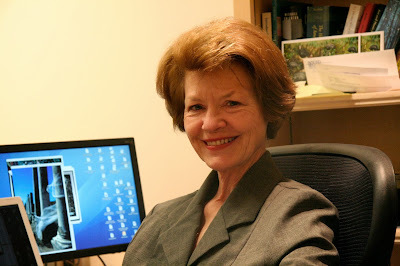 Her research is credited in two feature films, Maltby Sykes, Gentleman Modernist by Dale Schierholt and Treasures from the Rubble by Alexandra Branyon. Thomson is an active artist herself, exhibiting widely for the past 35 years. Her work is included in the permanent collections of the Montgomery Museum of Fine Art, Huntsville Museum of Art, Mobile Museum of Art, Jule Collins Smith Museum of Art, Georgia Museum of Art, Morris Museum of Southern Art, and Mississippi Museum of Art. She has been featured and reviewed in several publications including Arts and Activities Magazine and Art Papers, as well as numerous newspapers. For the fourth time the Montgomery Museum of Fine Art will feature Thomson’s work in a one-person exhibit in Summer 2014. 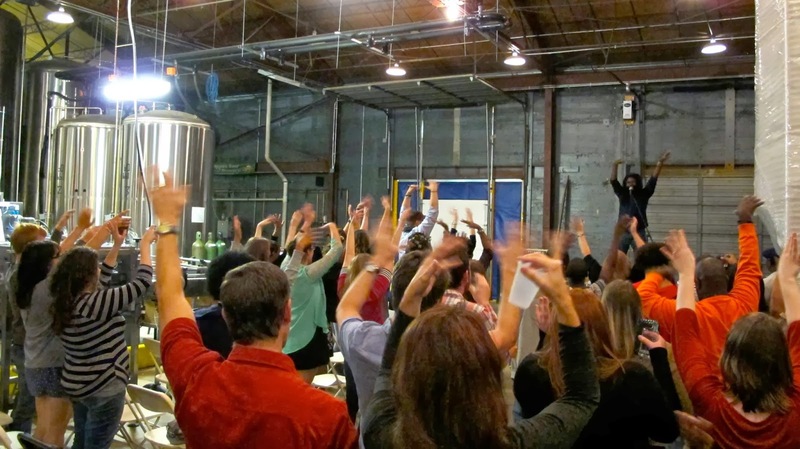 The Avondale Library hosts the next Bards & Brews SLAM on Friday, January 3, 2014. Poet sign-up begins at 6:30 p.m., and SLAM starts at 7:00 p.m. There is a $5 charge to enter the SLAM contest. Cash prizes to winners: 1st Place is $200, 2nd place is $100. Music is by guitarist and singer Susan Lawrence, 6:30-7:00 p.m. The SLAM is free to attend and is open to the public. Must be 18 and up to attend and 21 to participate. 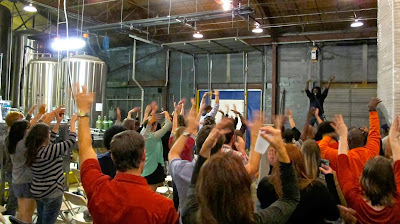 Beer tasting will be provided by Back Forty Beer Co. ID required. Refreshments will be served. For more info, call 205-226-3670 or email hm@bham.lib.al.us. The renovation of the Inglenook Library is coming along beautifully and the staff can’t wait to provide the opportunities that it will lend to the Inglenook Community. With more open space, additional computers, and an attractive building design, amongst the many other offerings, patrons will be enabled to interact with resources more comfortably and staff will be enabled to provide services more effectively. We are confident that it will stand out in the community and attract patrons from all walks of life as opportunities will be limitless and creativity will be boundless. Youth are invited to visit any Birmingham Public Library January 2-17, 2014, to participate in the annual Martin Luther King Jr. Scavenger Hunt. Each participant who successfully completes the scavenger hunt may enter their names in a drawing for a free book about Dr. Martin Luther King Jr. The scavenger hunt is scheduled at all Birmingham Public Libraries during regular scheduled hours. Please check your local branch for hours of operation. Some branches are closed on weekends. A special exhibit commemorating the 50th anniversary of the civil rights movement in Birmingham will be shown in the Fourth Floor Gallery of the Central Library, Wednesday, November 6 to Friday, December 27, 2013. The gallery is free and open to the public. Fairfield, Alabama resident Dr. William E. Colvin curated the exhibit, known as Birmingham 2013: Remembering the Movement that Changed the World. It proposes that the dreams of freedom and civil liberty that African Americans had 50 years are now realities. Nearly 50 pieces created by more than 25 artists from Alabama, Georgia, Tennessee, and Florida highlight historic moments such as the 1963 bombing of Sixteenth Street Baptist Church, marches in Kelly Ingram Park, and more. “These compositions are created to memorialize the Birmingham civil rights movement and celebrate the liberties and freedoms of all citizens,’’ said Dr. Colvin, who is an art professor emeritus for Illinois State University. Most of the pieces will be for sale. Two of Dr. Colvin’s works are in the exhibit. They include The Visionist, an acrylic painting of Dr. Martin Luther King, Jr., and Diane Nash Paying the Price of a Sit-In, a watercolor depiction of a young woman in a jail cell. Works by other artists cover a wide variety of styles. Marcella Muhammad’s work, The Sixteenth Street Ambiguity, shows the Sixteenth Street Baptist Church bomb-damaged stained glass window with the face of Jesus missing. 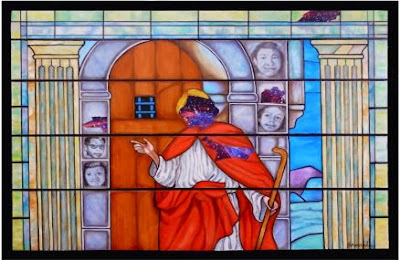 There are three pieces by award-winning artist Dr. Art Bacon of Talladega, Alabama. One is called Anniston Incident, which is a powerful collage and acrylic painting of when Dr. Bacon, then a senior at Talladega College, was badly beaten for sitting in the “wrong” area of the Anniston train depot. The collage includes acrylic paints, photographs of the station, typed and handwritten versions of a poem by Dr. Bacon about the attack, and a 1961 yearbook article. Other artists in the exhibit can be found at www.bplonline.org/exhibits/colvinexhibitbrochure.pdf. The Birmingham Public Library has planned several events to remember slain civil rights leader the Reverend Martin Luther King Jr. in January 2014. The Martin Luther King Jr. Scavenger Hunt will be held January 2-17 at all Birmingham Public Library locations. Ten clues related to important and interesting facts about King are hidden within each branch. Correctly answer all 10 questions on King and be entered into a drawing for a book on King. From January 15-21, children may express their dreams for the future in an art project called "Live the Dream'' in the Youth Department of the Central Library. During this time, children can decorate a Freedom Friend and complete the sentence: "I have a dream that all people in the world..." All Freedom Friends and the answers will be displayed at the Central Library. The project embraces the unity and the love Dr. King had for all people and what he encouraged people to show others. Students can celebrate King’s actual birthday on Wednesday, January 15, from 3:30 to 4:30 p.m. in the Youth Department of the Central Library by playing dress up and reciting theater lines about his life during the "I Have a Dream: A Martin Luther King, Jr. Birthday Celebration." There will be a birthday cake, art projects, decorating of Freedom Friends, and materials on King, too. For more information, contact the Birmingham Public Library Youth Department at 226-3655. Registration is now open for staff and the public for the January 2014 Regional Library Computer Center classes. All classes are held in the Regional Library Computer Center (RLCC) of the Central (downtown) Library. PRE-REGISTRATION IS REQUIRED FOR ALL CLASSES. Space is limited. If you register for a class and cannot attend, call Public Computer Services at (205) 226-3680 or 226-3681 as soon as possible. No one will be admitted after 5 minutes past the time class is scheduled to start. Classes are provided by the Birmingham Public Library. The Birmingham Public Library will kick off the new year with three money management classes in January. All classes are free and open to the public. Learn about saving and investing with Andreas Rauterkus, associate professor of accounting and finance at the University of Alabama at Birmingham. Attendees will learn how to understand various financial markets, evaluate different saving and investment options, develop ways to make better investment decisions, and more. Bring the little ones to see Phillip “Mr. Mac’’ McEntee as he leads “A Penny Saved’’ in this children’s program. Using Benjamin Franklin’s quote, “A penny saved is a penny earned,’’ McEntee will teach children about the importance of saving money. For more information, call Jim Murray at 205-226-3690 or visit www.making-cents.org. The Birmingham Public Library and 14 other libraries in Jefferson and Shelby counties offer the series. The programs will end in May 2014. Other BPL locations include Avondale, Five Points West, North Birmingham, and Springville Road. TumbleBooks: Animated E-books for Kids! TumbleBooks, a new online resource for kids from Birmingham Public Library, makes reading exciting and fun! TumbleBook Library is an online collection of animated, talking picture books which teach kids the joy of reading in a format they'll love. TumbleBooks are created using animation, sound, music and narration to produce an electronic picture book which you can read, or have read to you. TumbleBooks also includes chapter books you can read online, interesting videos, puzzles, and books in Spanish and French. 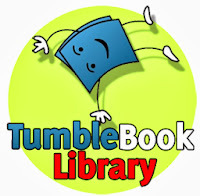 The TumbleBook Library is a collection of titles from children's book publishers such as Simon & Schuster, Harcourt, HarperCollins, and many more. Check out Tumblebooks and all these other children's resources from Birmingham Public Library. If you knew me, seeing a blog post I’ve written about baking would thrust you into immediate laughter. I don’t bake. I have baked, but the last 9” springform pan cheesecake I made could not be sliced with a chainsaw, so I hung up my apron. 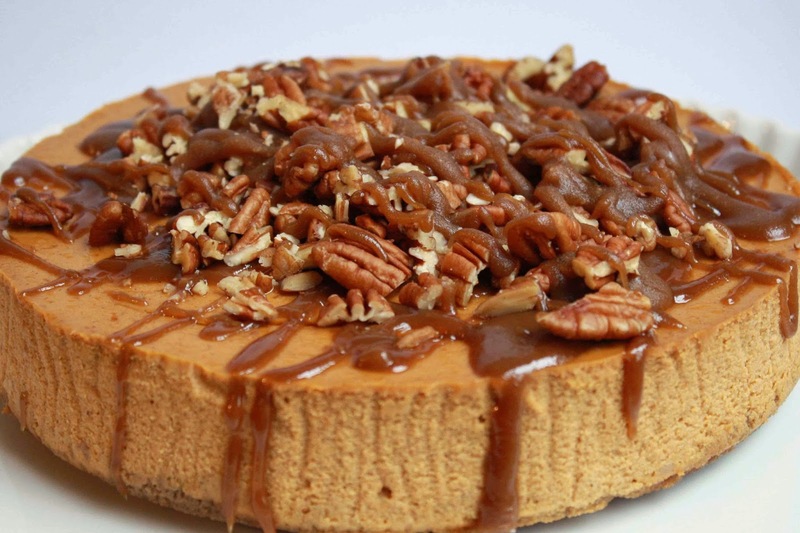 What’s the deal with baking cheesecake anyway? Google how to bake a cheesecake and look at the 17 million results you get. Place it in a water bath so it bakes at an even temperature, turn the oven off and let it continue to bake, take it out when the center is almost set. What does that even mean? I asked a coworker and she said in a haughty tone, “I can just look at it and tell.” Well, good for you! Let’s talk about how competitive people are when it comes to baking. I won’t use names to protect the innocent, but they know who they are. One cheesecake baker told an award-winning chef that she IMPROVED his recipe by adding an ingredient. Huh? A pound-cake baker who is very reluctant to eat anyone else’s cake usually ends up complaining about how dry it is and saying what she would have done differently. We've all heard this before: "They asked me to bake a cake because they won't eat anyone else's." Here’s the deal. If you’re on television on a Gordon Ramsay show or participating in the Pillsbury Bake-Off, feel free to trash talk. If you’re bringing a cake to your greedy coworkers, they can’t even tell what it tastes like. It’s free food and they are happy to get it. Don’t get me wrong, there is nothing better than a good slice of pound cake or cheesecake. One of my friends made a cheesecake so remarkable that I refused to believe she baked it. 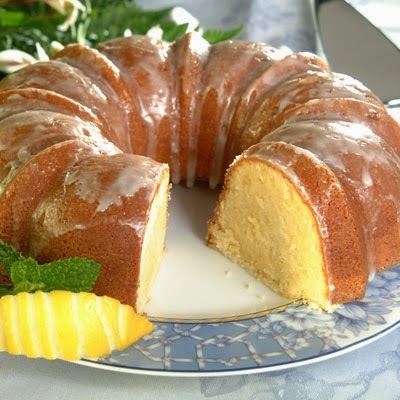 A friend’s sister made a pound cake so moist and flavorful that my aunt, who refuses to compliment anyone’s cooking, broke her code and admitted it was good. Hats off to all of you who are wowing your families with holiday goodness. Just don’t get stressed about it, be nice to the other bakers in your family, and remember no matter how good your cake or pie is, there’s someone who bakes it better than you. Smile. Happy Holidays. 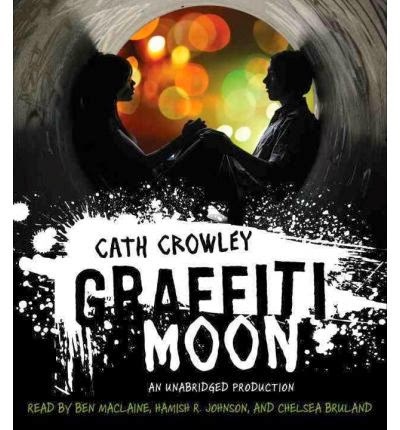 "Lucy is on a mission to find Shadow, the urban graffiti artist to whose work she is drawn. But as the night unfolds, she may find that Shadow is closer than she thinks. Three Australian voices mesh to give this story an authentic sense of character, place, and point of view." I'd read the blurb for this novel and didn't expect to like it, despite the Australian setting. And I've been pleasantly surprised. Of course, I suppose the blurb would have given too much away if it had revealed Shadow's identity! The three voices complement each other well. I actually liked Poet's deep, thoughtful voice, in spite of the short interludes he gets to narrate. There really isn't much differentiation between male/female voices when Ed and Lucy are speaking, which got confusing for me when they are relating conversations—but I was willing to forgive those moments, other parts drew me in so totally. I was laughing out loud when Ed and Lucy lose control of the bicycle and she runs him over, then Jaz tells Lucy aggravated assault may not be the best way to get a guy. The Melbourne-area accents are accurate (if you listen to the Markus Zusak novels, you'll note the difference between Melbourne and Sydney). I love the Christmas Season. 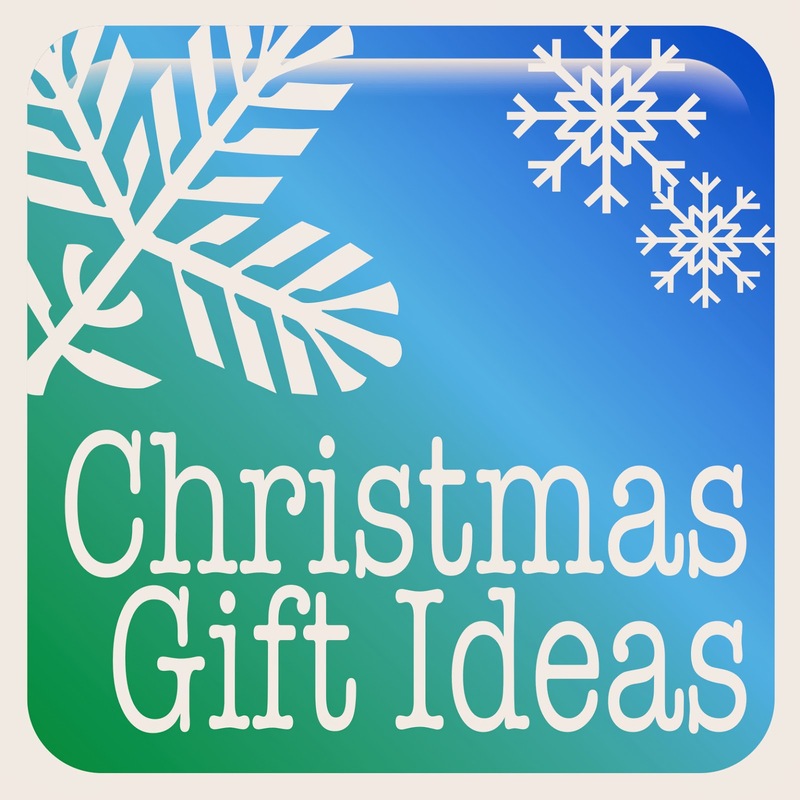 So, I’ve decided to tell you about a hodge podge of things that you can check out from the library, buy, or make at an affordable price for Christmas. Since this is the blog for the Birmingham Public Library, I will begin by spotlighting a few non-fiction books that I’ve read recently and then I’ll segue into some unusual things you can purchase or make. Driven by Donald Driver is the autobiography of a former Green Bay Packers Wide Receiver. Driver pens a very interesting and engrossing book. Growing up, Donald experienced homelessness and a troubled life in Houston, Texas. He managed, with the help of his stepfather and grandparents, to overcome poverty, get a college education at Alcorn State University, and become a Wide Receiver in the NFL. Along the way, he had varied experiences which he recounts including stories about playing for the Packers and finally winning a Super Bowl Championship at the end of his career. A truly inspiring read, I couldn’t put this book down. Recommended for those who love football. The Rejected Stone by Reverend Al Sharpton gives insight into what it takes to be a leader. This book reads like a who’s who of African-American Civil Rights leaders, entertainers, and politicians. Starting out as a boy preacher, Reverend Sharpton got to know such luminary figures as Mahalia Jackson, Dr. Martin Luther King, Jr., Jesse Jackson, and James Brown. In this book, Reverend Sharpton gives details about the highs and lows of his life and career and offers advice on what to do in a myriad of situations. This book is recommended for those who aspire to be a leader or for those who just enjoy a good autobiography. The Dirt on Clean by Katherine Ashenburg, published in 2007, chronicles the history of personal hygiene from the ancient Greeks and Romans until today. The Romans achieved the ideal in personal cleanliness that would not be achieved again until the 20th century. Ashenburg reveals the myths and fallacies that were attached to cleanliness, for example, King Louis XIV reportedly never had a bath in his life but believed changing his shirt everyday was a mark of personal cleanliness. I found a reference to this book while reading an article online and thought I should give it a try. The author of this book is an excellent writer and has done good research. Recommended for those who enjoy learning about the story behind things we take for granted. City of Bones by Cassandra Clare tells the story of a seemingly normal teenager, Clary Fray. Clary’s world is turned upside down when her mother is kidnapped and she finds out she is a descendant of Shadowhunters and possesses supernatural abilities. I couldn’t put this book down and it was a quick read. I kept intending to go see the movie that came out this year entitled Mortal Instruments: City of Bones but will have to watch it on dvd. Recommended for teens and adults who enjoy magical worlds and the paranormal. Candy Crush Candy - For all of you out there who are playing the Candy Crush Saga computer game, they now have the candy. Lego Light Switch Plate - For all of you Lego lovers. You only get the light switch base plate and have to provide your own Legos. Custom Molecule Jewelry - Our Summer Reading themes for 2014 are Fizz Boom (Youth), Spark a Reaction (Teen) and Literary Elements (Adult). Wear your jewelry and get someone interested in chemistry. Also, check out these molecule puzzles called Lab Test Games. Snack Treat Notebooks are so neat. Take a look at these; one looks like a cheese cracker and the other looks like a chocolate cream filled cookie. Pillsbury has a plethora of recipes. The ones I like are the Cinnamon Roll Christmas Tree, Christmas Tree Sandwich Cookies and Christmas Tree Ornament Cookies. 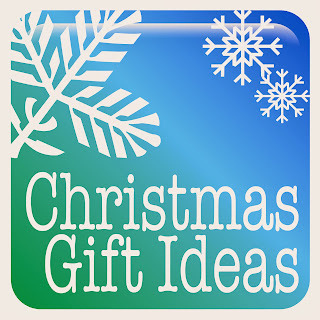 Hershey’s Kisses website has wonderful Christmas crafts you can make that are eye catching and delicious. I think I’d like to try the Snowman Soup. M & M’s has a recipe for Rice Krispies Tree Trimmer Treats for you to make along with other yummy recipes. Merry Christmas, Happy Holidays, and I hope this makes your holidays easier by giving you gifting ideas. It's Time Once Again for Reading with Ringling Bros.! 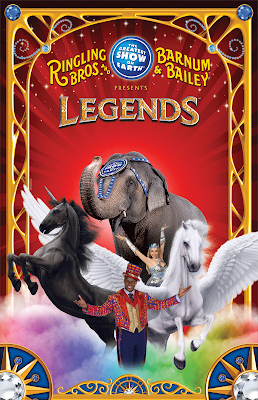 Beginning December 16 through January 24, children ages 2-12 may visit their local Birmingham Public branch library to join the Reading with Ringling Bros. program and earn a FREE ticket to the circus! 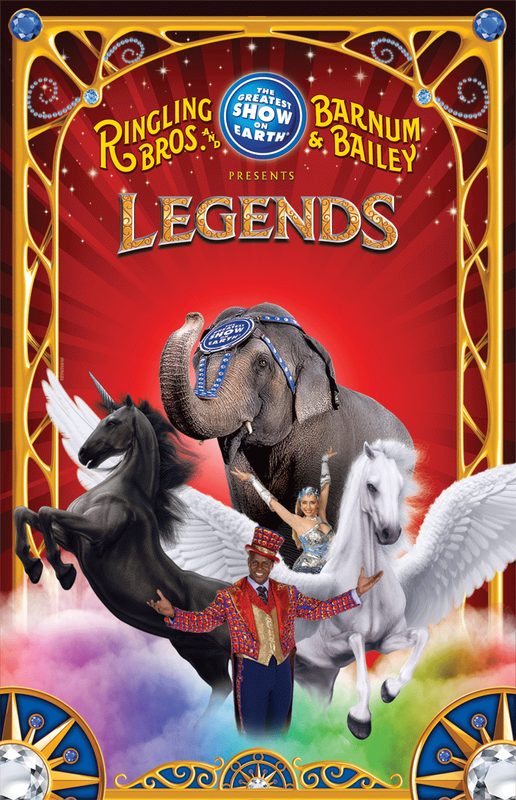 The Ringling Bros. and Barnum & Bailey Circus will be performing at the Birmingham Jefferson Convention Complex (BJCC) Arena this year from Thursday, January 22, through Sunday, January 26. Participating children who read five (5) books before the January 24 cutoff date can get a free ticket to see the Greatest Show on Earth! Here's how it works: Speak with a librarian at your local Birmingham Public branch library to register each child (ages 2-12). Each child must read at least five (5) books to receive his or her redeemable ticket from the library. There is a required parent/guardian ticket purchase upon redemption of the child's card. For every one (1) paid adult ticket, three (3) free kids' tickets can be redeemed. See the front and back of the redemption card for more information. Children under 2 receive free admission to the circus. At Ringling Bros. and Barnum & Bailey, animal care is a relationship built on respect, trust, affection and uncompromising care. Ringling Bros. and Barnum & Bailey is also strongly committed to saving endangered species. For information about their ongoing conservation efforts visit www.elephantcenter.com or www.ringling.com/conservation. So, ladies and gentlemen and children of all ages...what are you waiting for? Hurry up and use your trapeze, unicycle, or clown car to get to the library! For the Library Lover on Your Gift List! 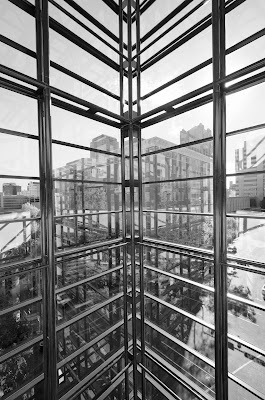 Library’s recognizable windows. For the Library Lover on Your Gift List! Purchase a one-of-a-kind gift for someone on your holiday shopping list and donate to the Birmingham Public Library at the same time! Birmingham artist John DeMotte has created this gorgeous limited edition print (there are only 25 prints available and they are going quickly) just for Birmingham Public Library supporters. 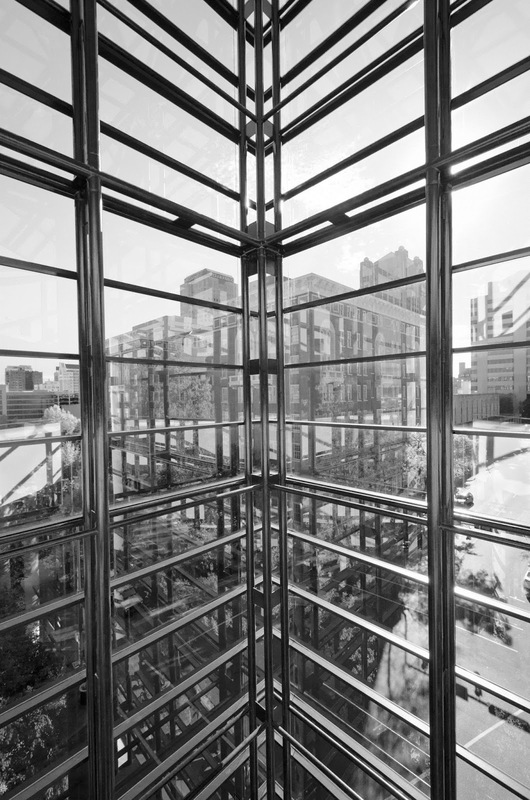 This photo print of the Central Library’s East Building looks out onto the corner of Park Place and Richard Arrington Jr. Boulevard toward the Tutwiler Hotel. The photograph beautifully conveys the contemporary architecture of the East Building as it blends with the historic landscape outside. The scene captures the bright light of the Alabama sun against the dark modern structure of the Central Library. The photo print is available for donors of $1,000 and up while supplies last. Make your donation and get your print by clicking here. The City of Birmingham, the Birmingham Public Library, the Birmingham Civil Rights Institute, and the Birmingham Museum of Art, along with other local entities and agencies, have been commemorating the historic, local events of 1963 that fought for the recognition of equal rights for African Americans. Under the banner of “50 Years Forward,” and with that passage of time, it has become increasingly evident that these events in Birmingham, Alabama, have had a world-wide impact and have inspired countless individuals to pursue freedom and equality. The Birmingham Public Library has been proud to do its part in offering a wide variety of programs and materials to its loyal patrons and other visitors to commemorate this unforgettable year. The Library thanks all who attended and participated in our special programming. The materials we offer on this topic include music, film, audio, and books all available in numerous formats that have kept pace with the constantly changing technology of our current times. The books that have been promoted or displayed this year for the commemoration are for the most part historical accounts that are classified as nonfiction. Historical fiction depicting the Civil Rights era of the 1960s deserves attention as well. Many fans of historical fiction hold to the idea that fictional accounts based on historical events and persons can be more dynamic and compelling than their nonfiction counterparts. Explore Civil Rights historical fiction and decide for yourself. Here are some novel suggestions for those interested in viewing the Civil Rights era of the 1960s through the prism of fiction. Registration has begun for the 2014 Local Authors Expo & Book Fair at the Birmingham Public Library. This annual event provides an opportunity for authors from the Birmingham area to meet the reading public, autograph books, and network with other writers. 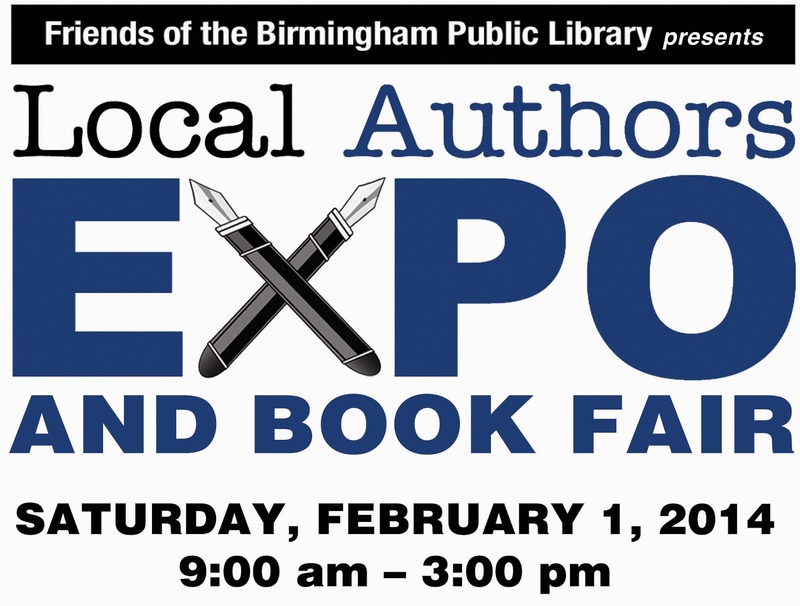 The Expo will be held at BPL's Central Library at 2100 Park Place, Birmingham, Alabama, on Saturday, February 1, from 9:00 a.m. to 3:00 p.m. The event is free for the public, but registration is required for authors who wish to promote and autograph their books. In addition to hosting up to 100 authors at this year's event, there will be two presentations open to the general public: At 10:00 a.m., young adult author Anne Riley will discuss "How to Write While Having a Life," and at 1:00 p.m., a panel of authors from See Jane Write (Javacia Harris Bowser, Stephanie Naman, and Kathryn Lang) will talk about "How to Use Social Media to Promote Your Book." If you are interested in getting your financial life in order this fall, then the Central Library is the place to be! Dr. Andreas Rauterkus, Associate Professor of Accounting and Finance at UAB, will be leading a series of programs that will focus on a variety of issues related to personal finance and investing. This is the last program in the MakingCents series. We hope you have enjoyed and learned from these financial planning programs. A college education is a good investment, but is also a very expensive one. In this program, Dr. Rauterkus will discuss ways to make this process more manageable. Among the topics to be covered are evaluating college affordability, utilizing personal savings, and assessing the different forms of financial aid. 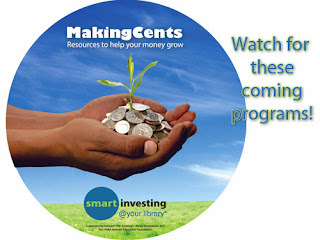 These programs are part of the MakingCents: Resources to make your money grow and Smart investing@your library® series, a partnership between the American Library Association and the FINRA Investor Education Foundation. Career Cruising is a comprehensive career guide that's fun and easy to use. It's the perfect tool for students planning for the future, graduates investigating job options, and adults looking for work or thinking about a career change. Career Cruising helps job seekers satisfy five key career guidance needs: self-assessment, career exploration, post-secondary education planning, work search, and portfolio development. Each section can be used on its own or in combination with others. You can learn more about your personal interests and find related careers and information about the necessary training, you can explore schools and find financial aid, you can explore occupations that interest you and find related jobs. CareerCruising features career guidance information, a database of schools, financial aid information, a portofolio tool, employment resources and self-assessments. This resource is perfect for students exploring future career options as well as college grads and job seekers. Create a CareerCruising profile to build a customized plan. Career Cruising is available at all BPL branches and at home to any residents of the City of Birmingham with a valid library card. In this era of reality television, the cinematic documentation of everyday people seems to have fallen by the wayside. Instead, we are bombarded by c-list celebrities, rural eccentrics, and child beauty pageant stars. Reality television depicts these lives in a sensationalized manner and the spotlight of celebrity has warped almost all sense of reality on our television screens. Of course there are still some documentaries and -- occasionally -- television programs that offer thoughtful insight into the world in which we live. The "Up Series” is a spellbinding example of this (unfortunately) rare phenomenon. These films are a documentary series that chronicle the lives of fourteen ordinary people in the United Kingdom. In the fall of 1964, a camera crew from Granada television interviewed fourteen, seven year-old schoolchildren from around London. The children were from a wide range of socioeconomic backgrounds ranging from working class students to upper class boarding school students. They were all asked several questions about their lives as well as their thoughts on the future. The documentary was titled 7 Up and was very well received by the British public. One of the associate producers on the production -- filmmaker Michael Apted -- came up with the idea of revisiting these fourteen individuals every seven years. The same children were visited as fourteen years old in 7 and 7 and most of the original fourteen participants have been visited every seven years since resulting in a series of documentaries directed by Apted with titles including 21 Up, 28 Up, and so on. The films have become known as the “Up Series” and have developed quite a following around the world -- there have even been local versions of this series in most major film producing countries. Roger Ebert called the series “…an inspired, even noble, use of the film medium“ and the films are usually listed among the greatest documentaries ever made. Every seven years the audience for these films grows with more enthusiastic viewers who have discovered the series during the intervening years. 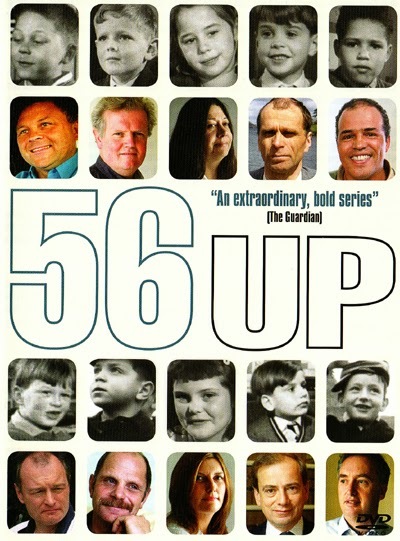 Last year, 56 Up was released in theaters and the film has recently arrived on home video (and is available through the library system). I would recommend that anyone intrigued by the premise of this series to start with the first film and work their way forward. It is tempting to state that viewers really get to know the individuals incrementally documented in this series; however, the truth is that we do not really get to know them at all. Michael Apted frames a window in which we can glance at their lives every seven years and it is an incredibly compelling glance. Perhaps most compelling in that the films make clear that any life can be profound if viewed through the right frame. I would also add that these films do a wonderful job of propelling the viewer to enter a frame of mind in which to examine the profound nature of their own journey through life. 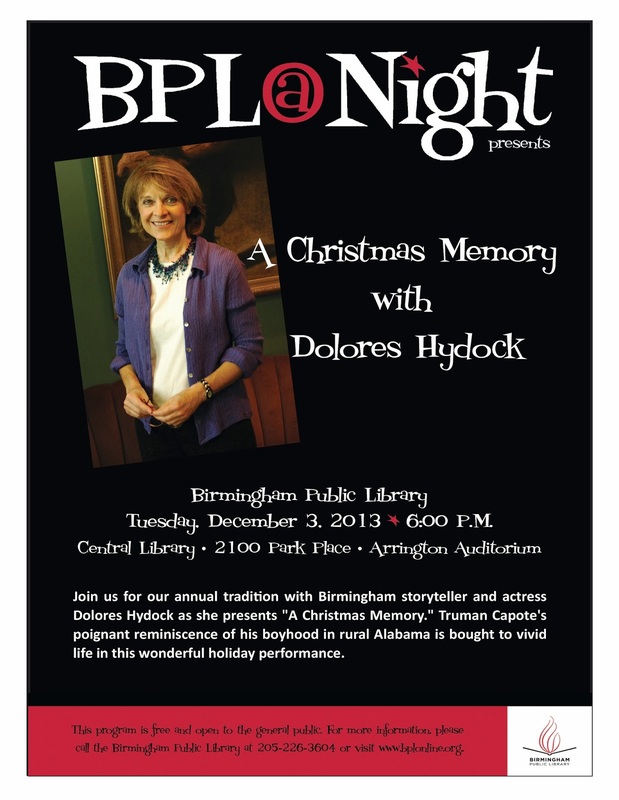 Celebrate the holidays at Birmingham Public Library! 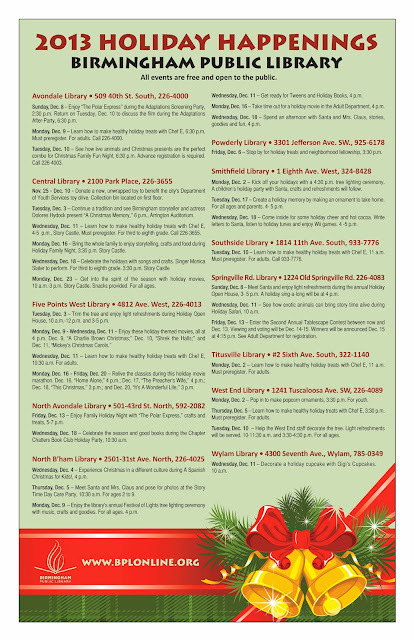 Click the link to see the list of programs scheduled at BPL locations throughout December. All programs are free and open to the public. 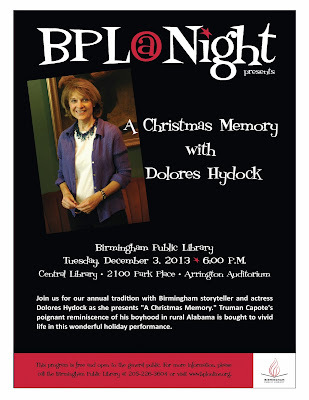 The Christmas season doesn’t really begin until you have experienced Birmingham storyteller Dolores Hydock’s incredible one-woman performance of A Christmas Memory, Truman Capote's poignant reminiscence of his boyhood in rural Alabama. Dolores will perform this holiday classic on Tuesday, December 3, at 6:00 p.m., in the Arrington Auditorium at the Central Library. There is always a full house for this performance, so come early and enjoy refreshments provided by the Friends of the Birmingham Public Library. Watch your step. Keep your wits about you: you will need them. This city I am bringing you is vast and intricate, and you have not been here before….The truth is that you are an alien from another time and place altogether. The novel follows Sugar, a prostitute from these mean streets, as she makes her way through life, meeting William Rackham, a wealthy businessman. She becomes his kept woman and, later, his governess. Through her eyes, and his (and still others) you see every level of London society, from lowest to highest. Connected to the main theme of prostitution are related themes concerning desire, lust, marriage, courtship and so on. In all of this you are intimately immersed into defining elements of Victorian morality, its vicissitudes, contradictions and hypocrisies. Far more importantly, and cutting to the core, it’s a book about love and how society usually thwarts it far more often than it supports it. By the way, if you like it, don’t miss the DVD version, also at the library.